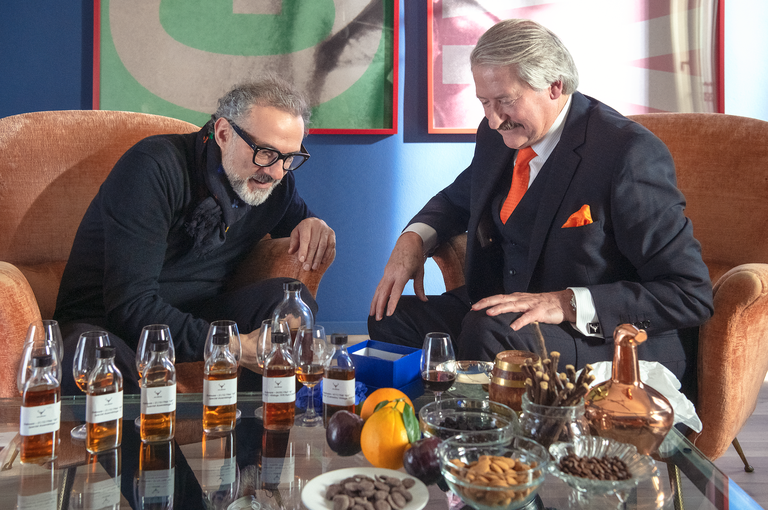 Scottish distillery The Dalmore has teamed up with star Italian chef Massimo Bottura to create a rare single malt whisky that will be auctioned off for charity later this spring. 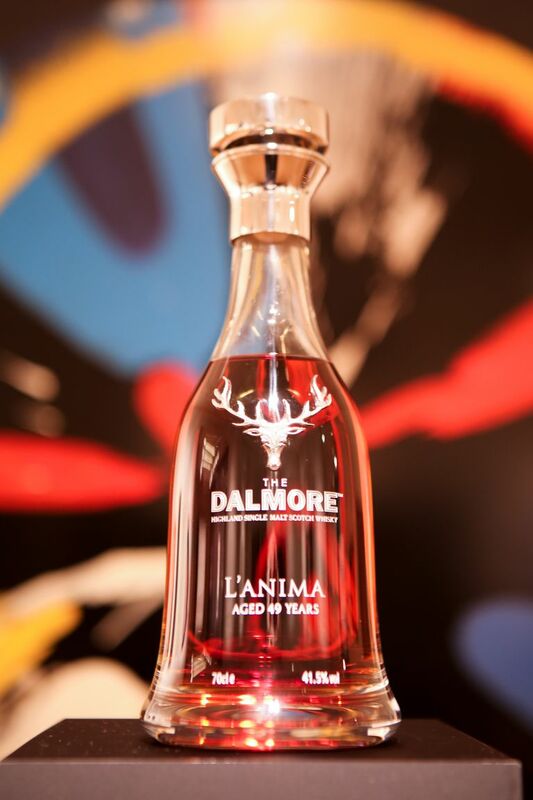 The Dalmore L’Anima Aged 49 Years is the creation of Bottura and Dalmore Master Distiller Richard Paterson. The word anima means soul in Italian. Bottura’s Modena restaurant Osteria Francescana is the current chart-topper on the World’s 50 Best Restaurants ranking and holds three Michelin stars. According to Scotch Whisky magazine, the single malt Scotch is a marriage of Dalmore whiskies matured in ex-bourbon barrels, Gonzalez Byass Sherry casks (which previously held 40-year-old Pedro Ximenez Sherry) and Graham’s vintage Port pipes. On the nose, the whisky is described as having notes of raisins, bitter chocolate, old English marmalade. Those give way to coffee, demerara sugar, pecan pie and crème brulee on the palate, before finishing on notes of treacle and figs. The amber liquid is presented in a crystal decanter, which is housed in a box handcrafted in Italian olive wood, American black walnut and solid ebony cabinet. The bottle will be auctioned at Sotheby’s in an online sale between April 25-May 9. All proceeds will go towards Bottura’s non-profit organisation Food for Soul, soup kitchens which feed the homeless using surplus ingredients collected from grocery stores and food suppliers in cities like London, Paris, Milan and Rio de Janeiro.